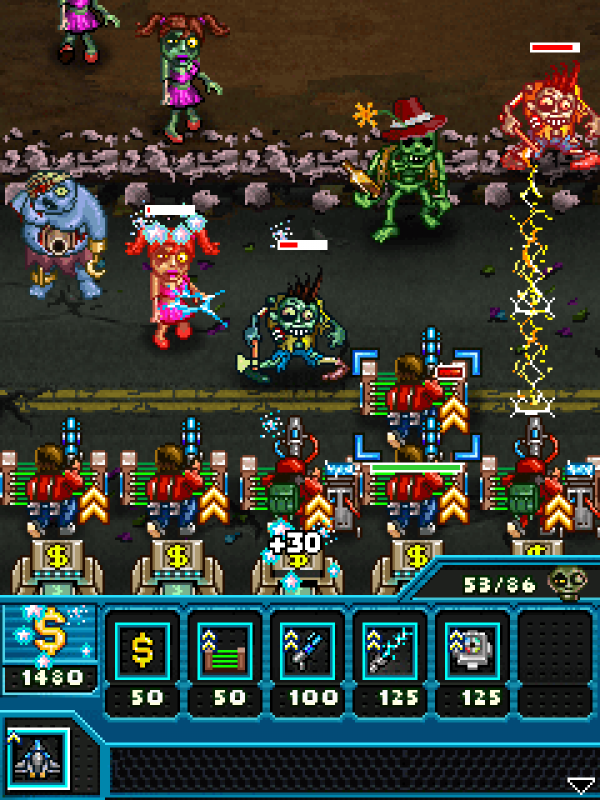 Save your city from the perils of a sudden Zombie Mob attack in over 40 wacky levels! Fend off more than 8 different abominable Zombie Mobs with cool weapons such as a Plasma Cannon, Ray Gun and more! 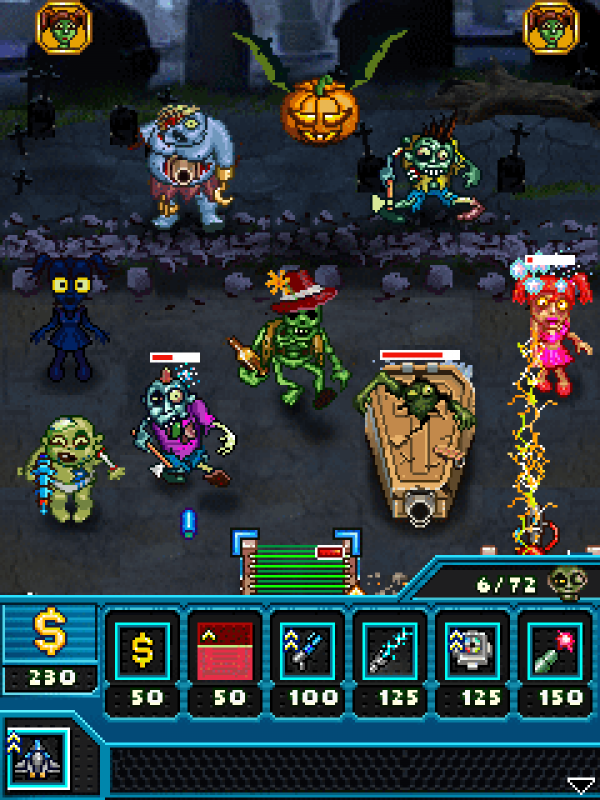 Save your city from the perils of a sudden Zombie Mob attack in over 40 wacky levels! Fend off more than 8 different abominable Zombie Mobs with cool weapons such as a Plasma Cannon, Ray Gun and more!Use different tactics and strategy to arm your elite zombie busting units with superior weapons. 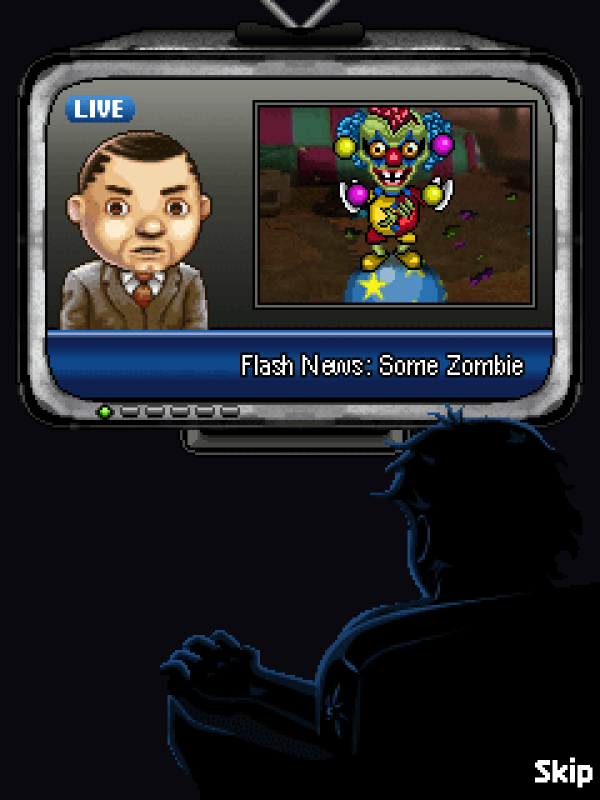 Evolve level-by-level with distinct upgrades and become the ultimate Zombie Mob Defense force!Features:•	Fight the Zombies in amusing areas such as the Carnival, the Train Station and more.•	Experience over 40 wacky levels of Zombie Mob Defense with 3 Levels of difficulty each requiring a different strategy and approach to fend off the Zombies.•	4 eccentric Zombie bosses with bizarre abilities, each requiring a different tactic to get them back to their grave bed!•	More than 8 different perilous Zombie Mobs each causing chaos and jolt making every decision important.•	Over 8 superior Zombie busting arsenals with interesting upgrades for each.•	Unlock cool weapons such as EMP, Conduction Gun, Ray Gun and a lot more!•	Witty & engrossing storyline.•	Novel and fun filled gameplay with loads of replayability value.